NU Laboratories provides full service testing as well as failure analysis and mitigation recommendations. NU Labs is accredited by A2LA to ISO/IEC 17025:2005 General Requirements for the Competence of Testing and Calibration Laboratories for MIL-STD-461 and Power Quality Testing. Click logo for scope of accreditation. 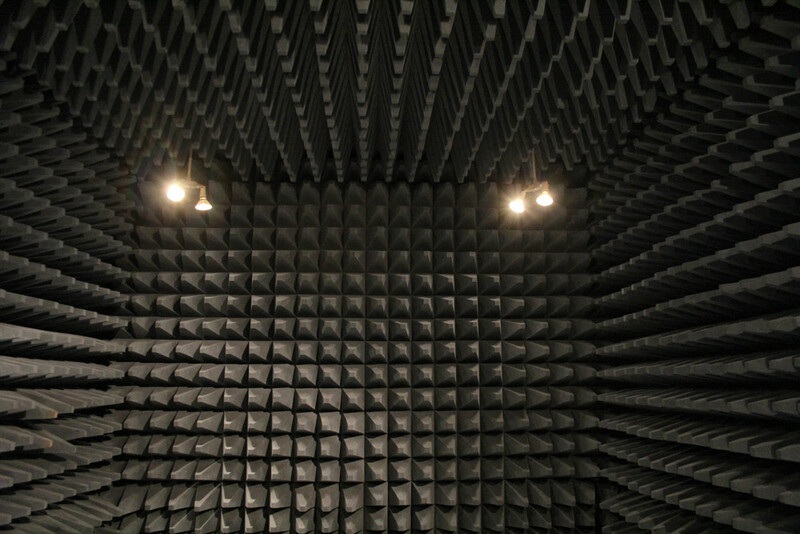 NU Labs is equipped with two shielded enclosures to provide electromagnetic interference testing required by current Military specifications. 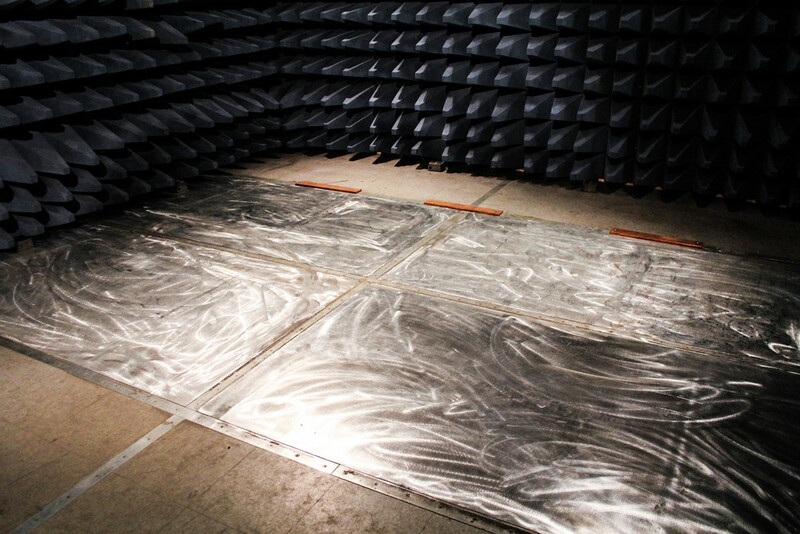 The first is a Panashield semi-anechoic electromagnetic shielded enclosure. It has an inside dimension of 23' x 16' x 12' with a usable test area of 10.7' x 9.8'. The chamber uses 20" carbon impregnated cone material for RF absorption and conforms to MIL-STD461E/F. The second chamber, a Universal Shielding Corp. shielded enclosure, measures 12' x 9' x 9' and has a entry door that is 35.5" wide by 84" high. All power to both chambers is filtered.